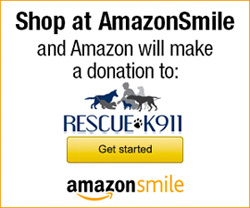 Pet Education « Rescue K911 is an animal shelter located in Camp Hill, AL. These three abandoned precious pups we rescued just two weeks ago were found living in a storm drain. If there were only one message that we could give or send along with you today, it would be to stress the importance of Spaying & Neutering your pets. It is the answer to all the suffering of the homeless and unwanted that we see on a daily basis. From puppies abandoned along the roadside, to precious lives facing euthanasia in shelters each day. Lets all do our part to ebb the tide of overpopulation, and so much sadness. Be a loving & responsible pet owner. Spay & neuter your pets. We know most of you have, and we thank you! If you need help with this, let us know. If you know of a neighbor or someone that needs help with this and you can help them, please reach out to help them. Save lives, spay & neuter. Robert, a pre-veterinary student and vet technician at an animal shelter, started a photo-journal of unusual cases to share with other students. When he was able to work on an animal rights project for his social ethics class, he decided to turn his journal into a short movie, hoping to show what can happen to animals when people stop caring. The result is a powerful and heartbreaking commentary on shelter animals, pet overpopulation, and animal cruelty – and how these issues affect not only animals but people as well. We are their voice, lets all do our part to help. Thank you each one!